inMOTION Auto Care in Lincoln, NE offers BFGoodrich® tires. 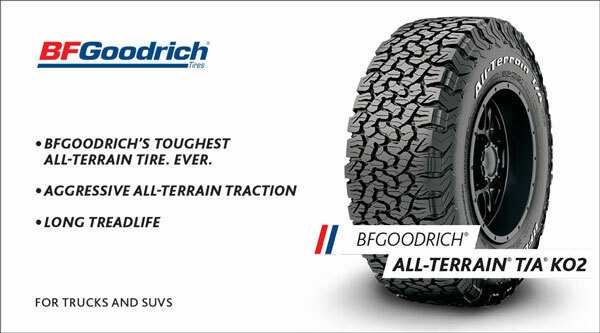 BFGoodrich® has made a name for itself throughout the years. They have produced everything from golf balls, to airplane tires, to the first tubeless tire. However, they have always returned to tires. 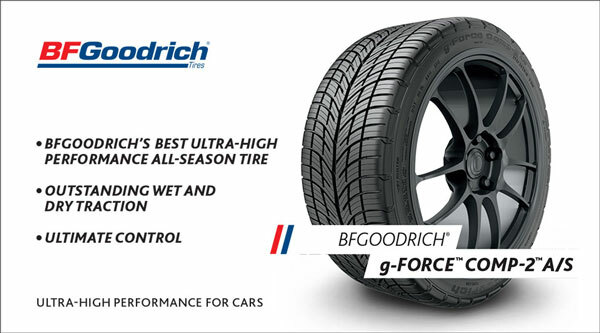 BFGoodrich® has always strived to produce quality tires that are innovative and safe. They have always been on the cutting edge of the industry when it comes to tire wear, longevity, and safety. They have specially designed tires for the Toyota Tacoma and Ford Mustang. Additionally, they have models available for cars, trucks, SUV’s, and commercial vehicles. Call us today with any questions regarding our stock of BFGoodrich® tires. If you are in the market for new tires stop by inMOTION Auto Care. One of our Tire Sales Specialist will help you find just the right set to fit your vehicle. We also offer full service tire repair and maintenance. Our goal isn’t to just sell you tires, but also help you extend the life of them. Timely maintenance is important to prolonging your tires life; this includes alignment, rotation, tire pressure, tread wear, and depth. Check out the specials page for valuable coupons to use on your next visit. Call or schedule appointment online today. Walk-ins Welcome.